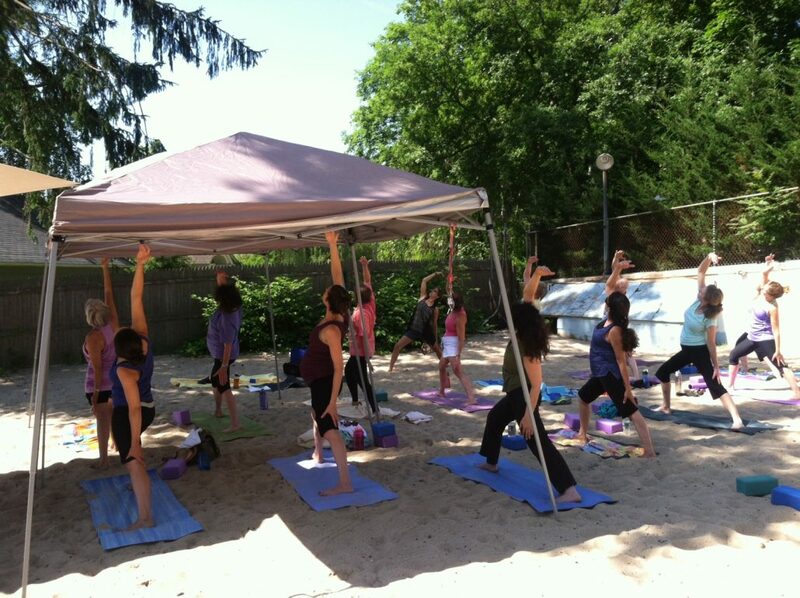 Balance Body, Mind, and Spirit While Gaining Strength and Flexibility in a Relaxed, Healing Atmosphere. Renee Simon is a 200 hour yoga alliance certified vinyasa flow yoga teacher. 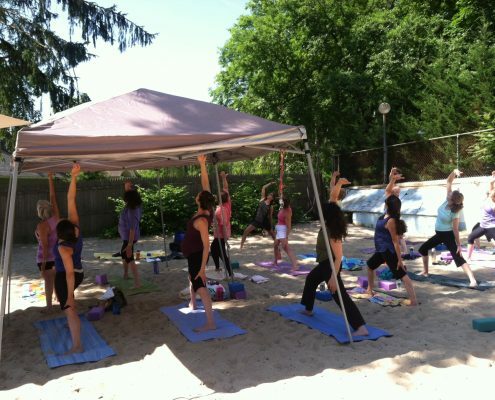 Her classes combine breath, movement, and yoga philosophy to nourish body, mind, and spirit. 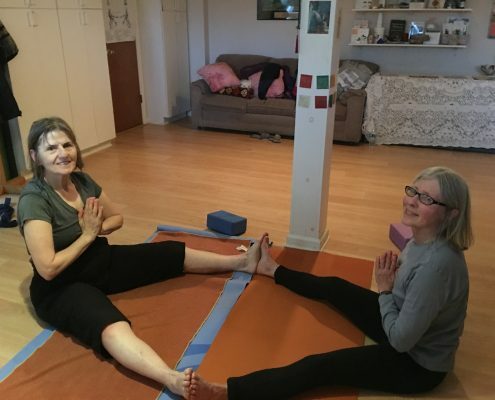 Each class has a unique theme or dharma talk that is weaved through the whole class so that the living yoga benefits are achieved as well as the physical benefits gained from doing the “asanas” or poses. 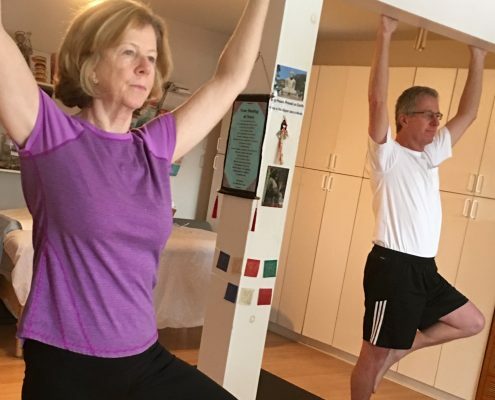 The classes are for beginner and intermediate levels or for anyone who wants to gain flexible and build body strength in a relaxed, healing atmosphere. Each Class and Private Session ends With Reiki to Make Sure You Leave With That Relaxed Yoga Glow. 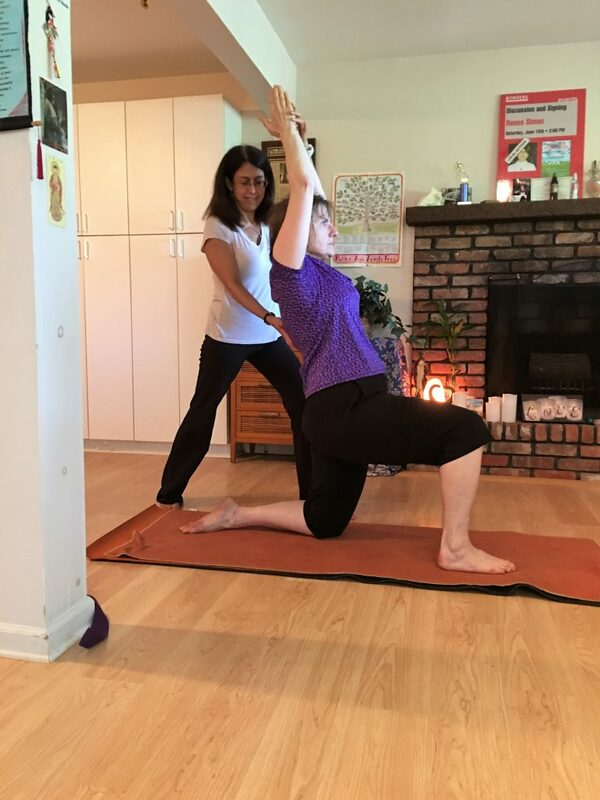 Renee has practiced yoga for 20 years and is now happy to teach individuals and groups proper alignment for improving posture and helping with medical problems, fun flows for strength and conditioning, as well as using the breath to both relax and energize. 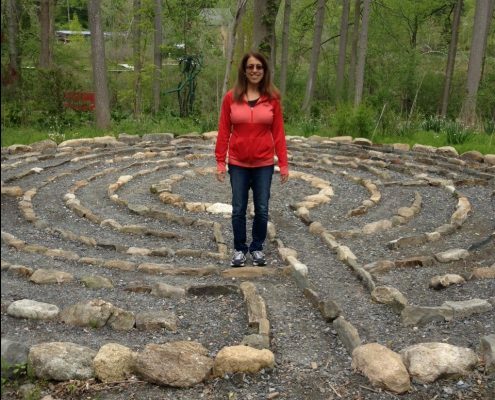 All of her classes and private sessions end with energy healing to ensure you leave completely relaxed and rejuvenated. 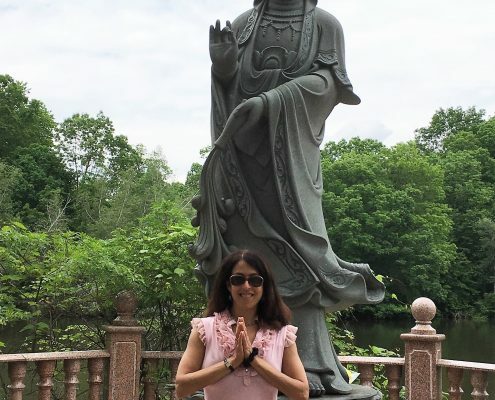 After enjoying class for a few months, I knew I wanted to explore yoga more deeply. I decided to try private sessions with Renee, and like my earlier experience, I found this to be a good decision. 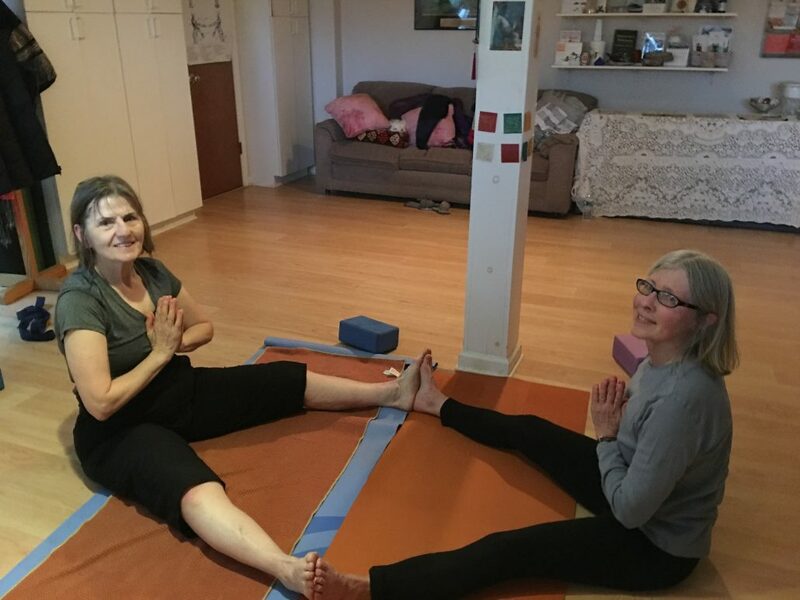 An hour of individual work with Renee is physically and mentally challenging, invigorating, relaxing and at the same time, the focus on breath and emptying yourself out to connect to a wider energy is akin to a one hour vacation from the world. I have gained strength and improved flexibility and balance. I still have a long way to go, but I am looking forward to the journey with Renee knowing that she will encourage me but also make sure that I am making this my own practice. K.B. You don’t have to do hot yoga to achieve weight balance through yoga. Scientific studies have shown that yoga can help with weight management by helping you achieve lower stress and a greater sense of well-being. Stress causes cortisol to rise which can lead to health problems and weight gain, especially around the mid-section. By practicing yoga regularly, which often includes meditation and deep breathing, cortisol can be reduced helping you achieve your ideal weight and better health overall. Yoga also gets you in tune with your body, which helps you make better health choices. When you are feeling more at peace and happier within – you will take better care of yourself. Many beginner yoga students opt for private sessions to teach them the yoga asanas to feel more comfortable before joining a class. 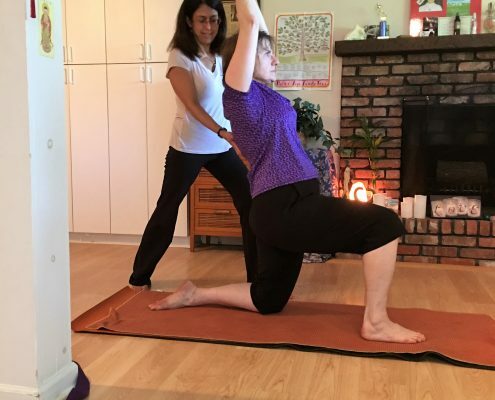 Renee also works with individuals and couples who want to take their yoga practices to the next level or who have physical challenges that require an individualized program. If you are interested in a private class or family session Renee can help your group with a customized program to improve fitness and vitality and reduce stress. “Magic happens in my private sessions with Renee. She crafts each session with care and skill, based upon my physical, emotional and mental needs of that day. 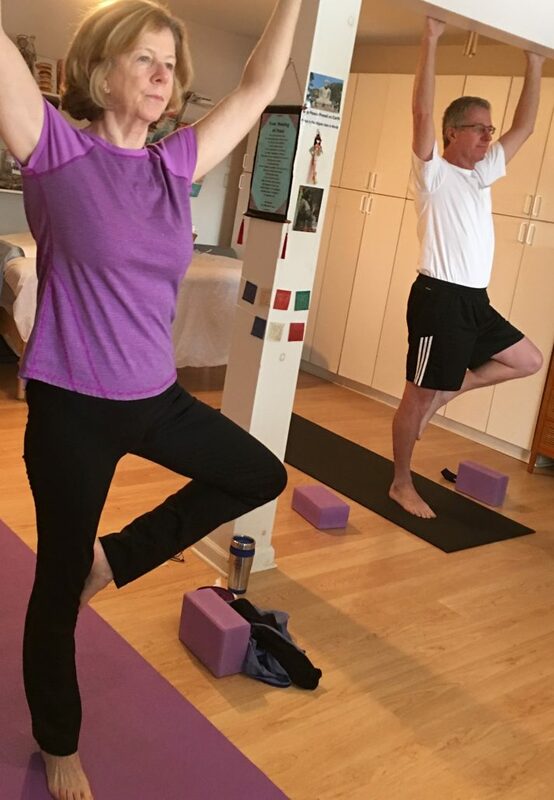 Within the safe container of her intimate yoga studio, Renee leads me in pranayama and asana created especially for moving my energy. Afterwards, the alchemy continues, with 20 minutes or so of Reiki to further shift and integrate what the yoga practice initiated. I always leave feeling both more grounded and highly balanced. I look forward to continuing my journey with Renee as my able guide.” E.K. 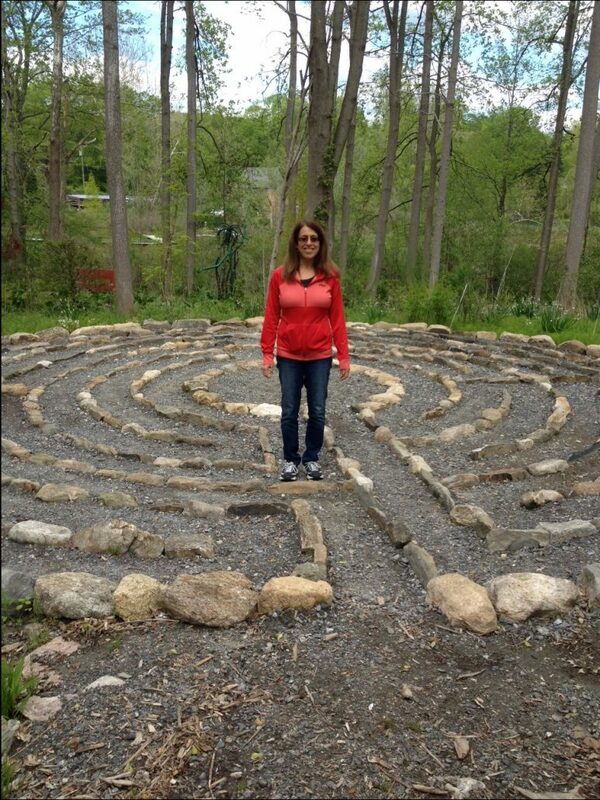 “Renee created a nurturing and healing cocoon. 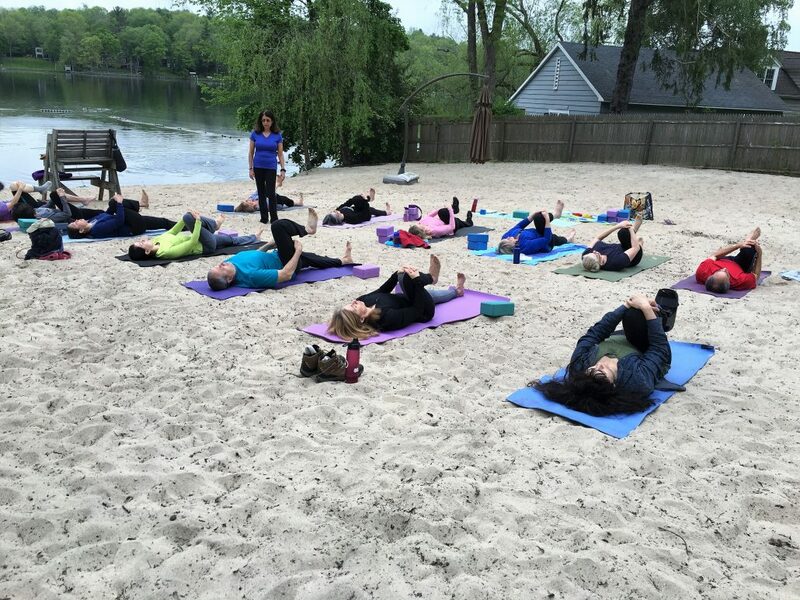 I was able to just let go and find true peace.” – E. K.
Join us for our Special Saturday morning Summer Beach Yoga program that runs from June-July at the Lake Truesdale Beach in South Salem. The location is often a siting for swans, ducks, eagles and other wild life. 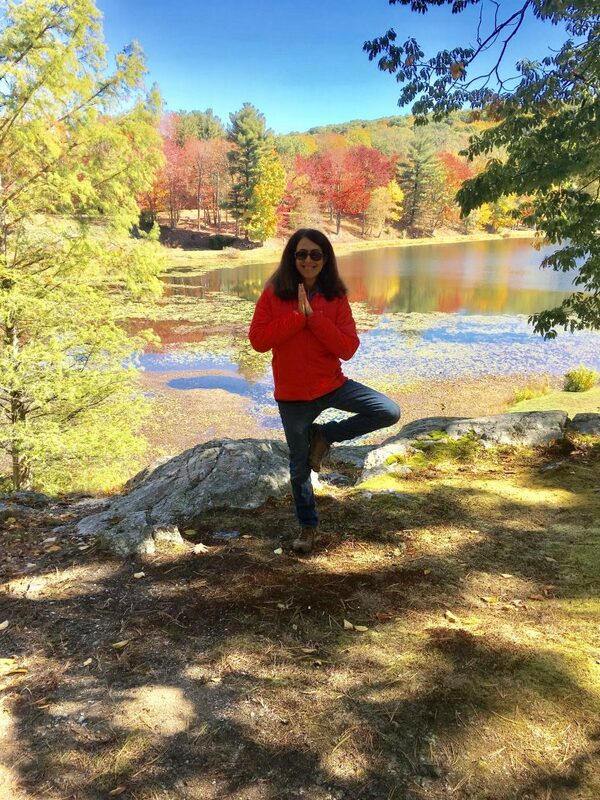 There is nothing like combining the serenity of nature with a mindful yoga practice. Starting again this June! 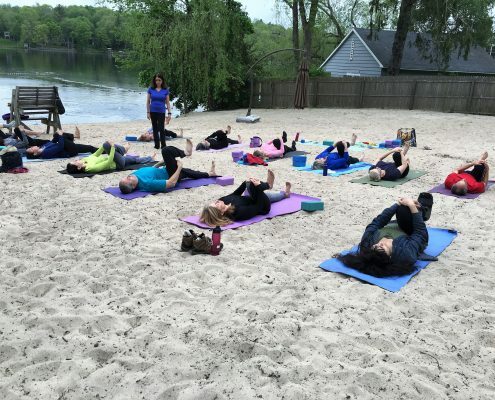 The classes include deep stretching, breathe work, and relaxation meditation or Reiki to end the session. You will get energized, reduce stress, build strength and improve flexibility and balance. 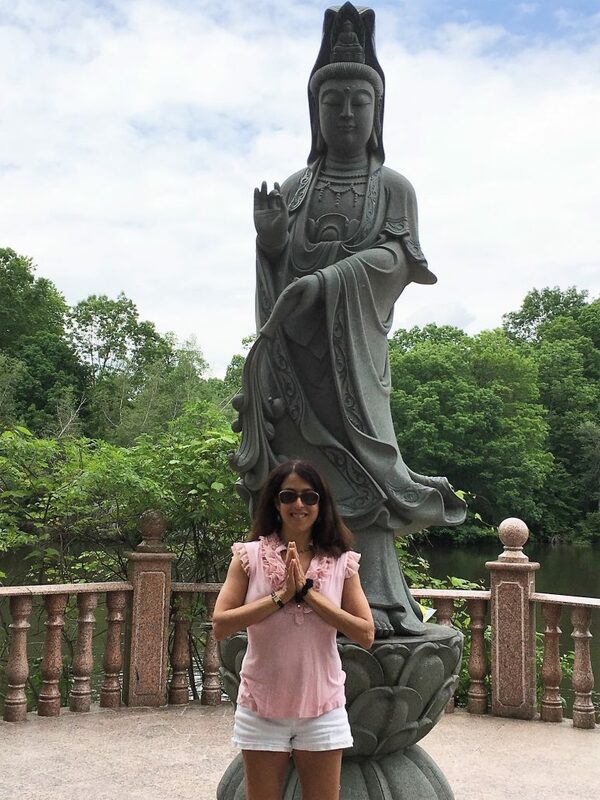 — Thursday Night slow flow vinyasa in Pound Ridge, 6-week session, March 7th- April 11th, from 5:00-6:00 PM, $90 for this 6 week session. This class is full but let me know if you want to be on the drop in list if there is an opening. The next 6 week series is April 25-May 30th. Limited space. Special price 6 classes for $90. – Ongoing Restorative Yoga Workshops at O2 Living in Cross River. Restorative yoga is for anyone who would like to de-stress, relax & renew. No yoga experience necessary. The gentle stretching and restorative sequences help your spine and open tight hips, hamstrings, and shoulders. 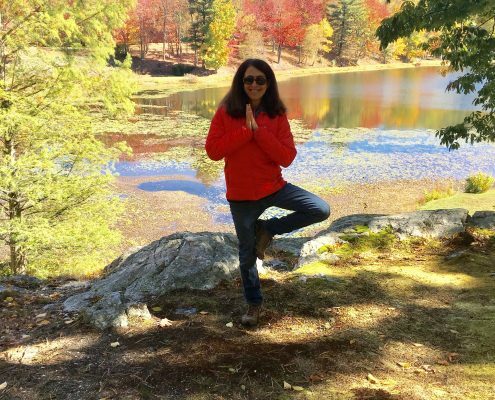 The program is great for anyone who wants to bring balance to body, mind, and spirit, and enhance your body’s ability to heal itself while you quiet your mind. Next classes Jan. 6, Feb. 3, March 3, April 7, May 4, and June 2, 3-4:15 PM. Call for details.